As subscribers eagerly unwrapped the latest Living Torah DVD, they were struck by one of the clips scheduled to be shown next month. 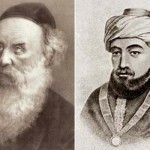 Garnering special attention is the Timeless Moments segment in program 660, in which the Rebbe is seen in conversation with Rabbi Binyomin Gorodetski in a newly released video. Rav Gorodetski, a veteran Chossid and Shliach of the Frierdiker Rebbe and the Rebbe, is seen with the Rebbe at the conclusion of a Public Audience on 25 Nissan, 5745. 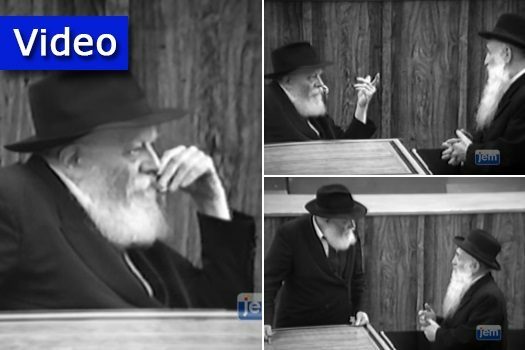 In the rare film, scenes of a conversation which lasted more than 45 minutes, the Rebbe is converses with Rav Gorodetski while sitting on the makeshift stage erected for the Public Audience. With permission from JEM, we’ve included the clip below. To order the DVD, check out JEMStore.com/Living_Torah_Volume_165_p/v-lt165d.htm. 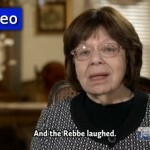 Subscribe to JEM’s Living Torah to get the DVDs delivered to your home each month at JEMStore.com/category_s/8.htm.